Do You Think Rihanna Would Make a Good Landlord? Do you think you could be friends with Rihanna? Do you think you and Rihanna would maintain a professional landlord-tenant relationship after said friendship? That’s harder to say, but a more plausible question. 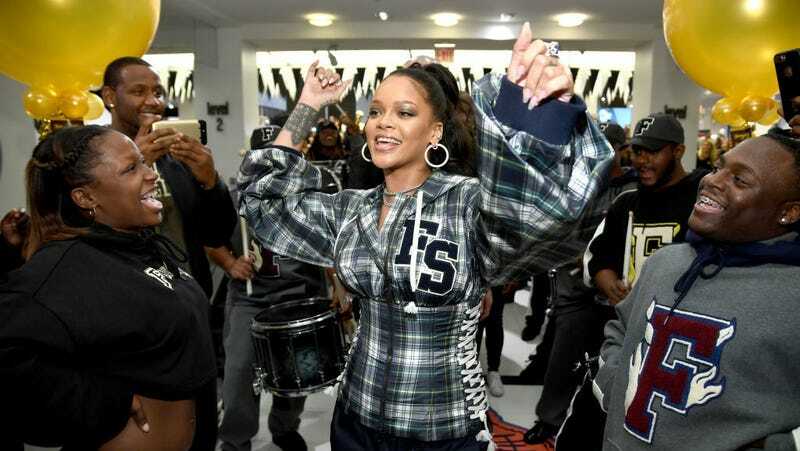 According to a listing on Variety, Rihanna’s Spanish-modern mini-compound in West Hollywood is available for lease at an affordable $16,500 per month. It’s doubtful she even lived there: She bought the place in August of last year for $2.75 million before trying to flip it less than three months in for $2.85 million. She still owns the place, which has just enough space for me (2,886-square-feet, with four bedrooms and four bathrooms, along with a detached guesthouse that has another bedroom, 1.5 bathrooms, and kitchenette). Here’s the thing: Landlords are usually the worst—unless they let you host parties or stay past your lease or actually patch up the leak after it’s been dripping for a week. And Rihanna’s a busy person! Would she’d be available to arrange for a drain unclogging or hire someone to fix the heating? Anyway, despite my concerns, I would very much like to move into the micro-compound. Or become Rihanna’s friend, whatever comes first.